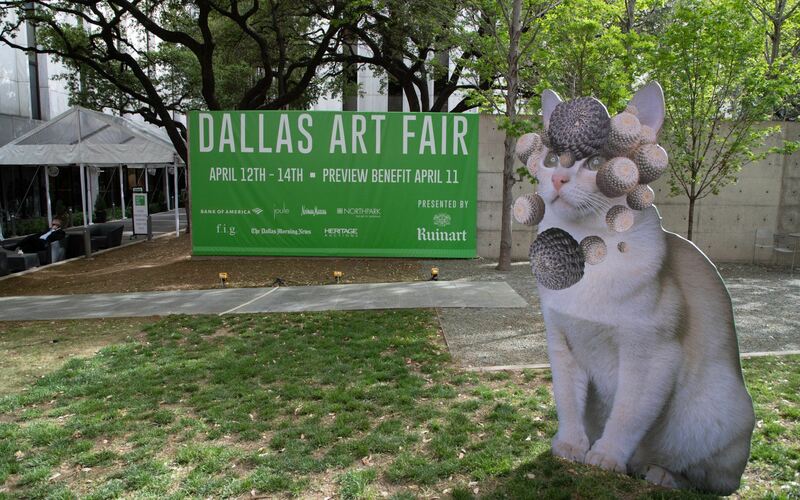 The entrance to the Dallas Art Fair 2019 featuring Stephen Eichhorn's sculptural work for Chicago's Carrie Secrist Gallery based on his “Cats & Plants” series. At the Thursday morning preview, the fair revealed the artists who had been acquired by the Dallas Museum of Art (DMA) through its annual acquisition fund. 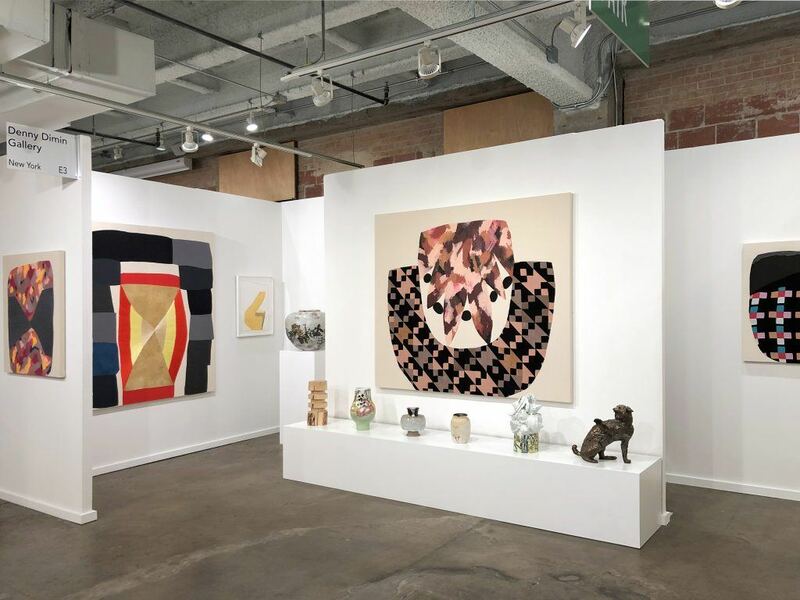 Now in its fourth year, the Dallas Art Fair Foundation Acquisition Program, which is led by the DMA’s director, Agustin Arteaga, and curator Katherine Brodbeck, had a budget of $150,000. The group makes its selections directly at the fair and chose works by Sheila Hicks, Don Dudley, Arcmanoro Niles, Samuel Levi Jones, Emmanuel Van de Auwera, Maja Ruznic, Nobutaka Aozaki, and Dike Blair. And more than one dealer noted that if you want to be part of the conversation in Dallas, you have to bring your artists here. 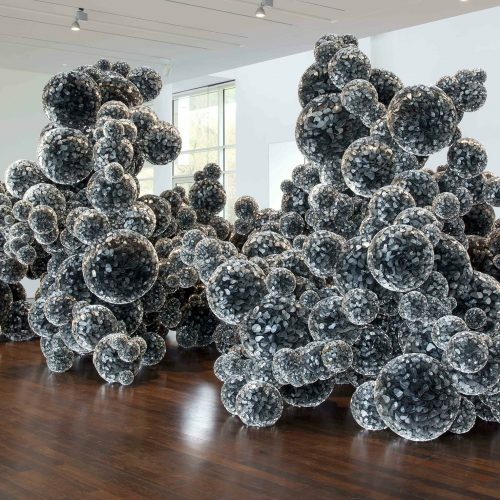 Gallerist Rachel Uffner recalled that she first came to Dallas for the annual benefit gala for Two x Two for AIDS and Art, a 20-year-old organization that supports both amfAR and the Dallas Museum of Art. 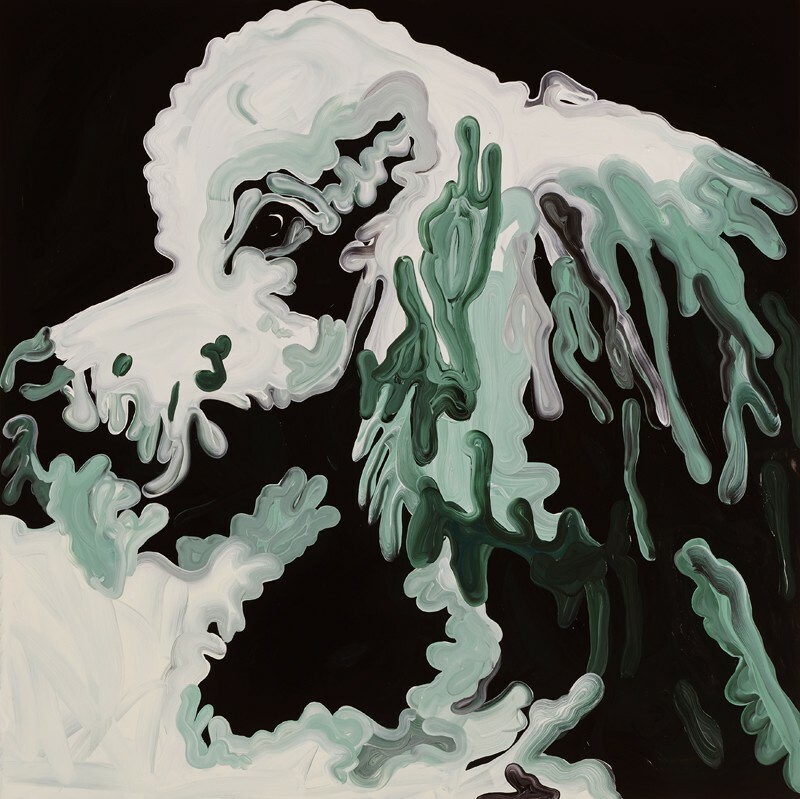 Since then, the Rachofskys, who are among Dallas’s most esteemed and well-known collecting families, have purchased a work by Bianca Beck. This year, a work of Uffner’s artist Arcmanoro Niles was acquired by the DMA through its acquisition program. While there were works by Damien Hirst and Anish Kapoor to be found, they took a back seat to the fresher talent at this fair. If Stephen Eichhorn’s surprising and endearing Cats & Plants installation at the entrance to the fair was any sign, there’s a sense of fun here that’s unmistakable. Here are some suggestions for what to see at the fair. Night Gallery brought works that made sense for Dallas and its collectors, including the abstract paintings of Wanda Koop, a 68-year-old Winnipeg, Manitoba–based artist who is well known in Canada but still under the radar in the U.S. 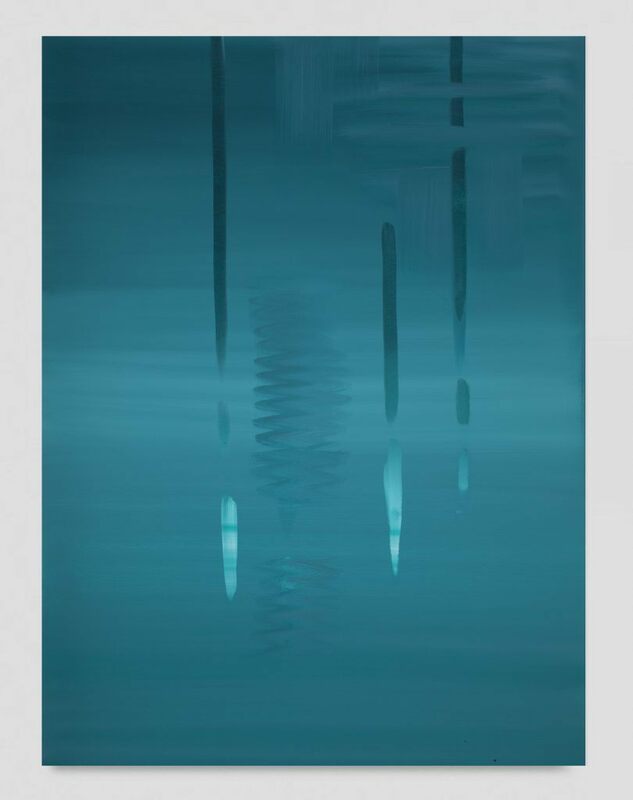 Though she was appointed a member of the Order of Canada in 2006, her first solo show in the country was in 2017, at Night Gallery. Her work is now in the collection of the Dallas Museum of Art, which purchased her work In Absentia (Deep Blue-White) in January. She will have a solo show at the DMA in the fall. 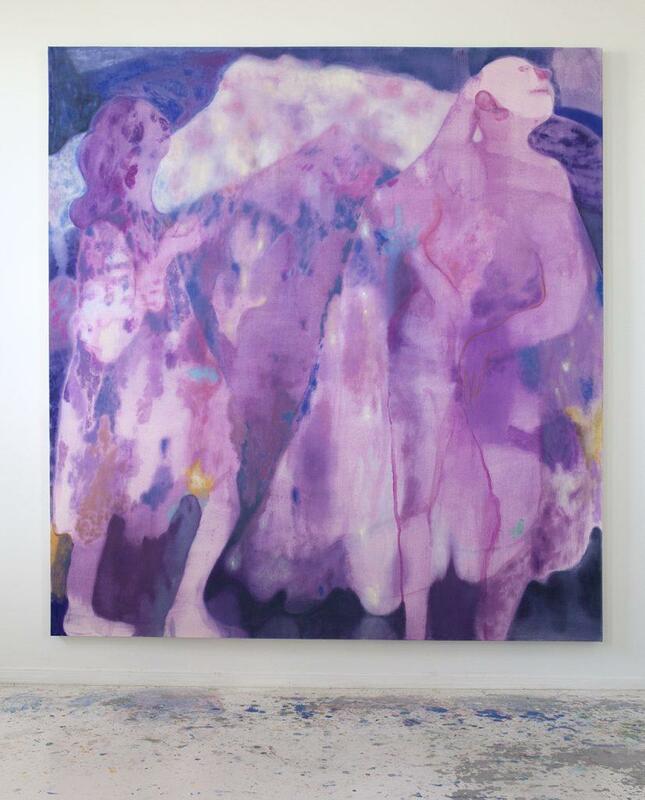 Also on view at the gallery’s booth is the work of Mira Dancy, who Night is bringing to Dallas for the first time. 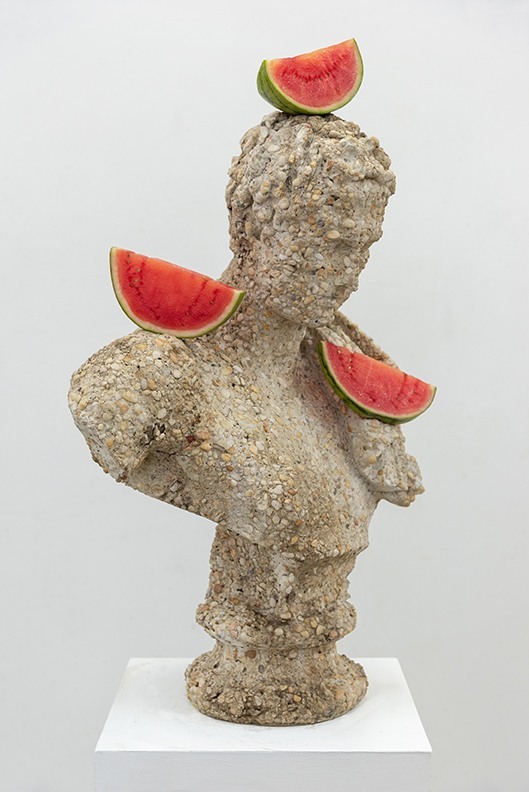 Marlborough Contemporary is featuring the work of Tony Matelli, including a found sculpture in cast concrete that he adorned with brightly colored sculptural slices of watermelon made of urethane. The artist’s works are also currently on view in an exhibition in the lobby of the Joule, a boutique art-filled hotel. Matelli is perhaps best known for Sleepwalker, his sculpture of a naked man with arms outstretched, which caused much controversy when it was installed in 2014 on the campus of Wellesley College in conjunction with a show “New Gravity” at the Davis Museum. 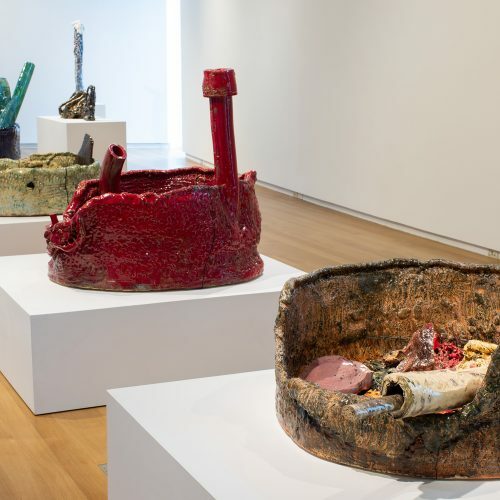 On Saturday, the curator of that show will be in discussion with Matelli at the Nasher Sculpture Center. 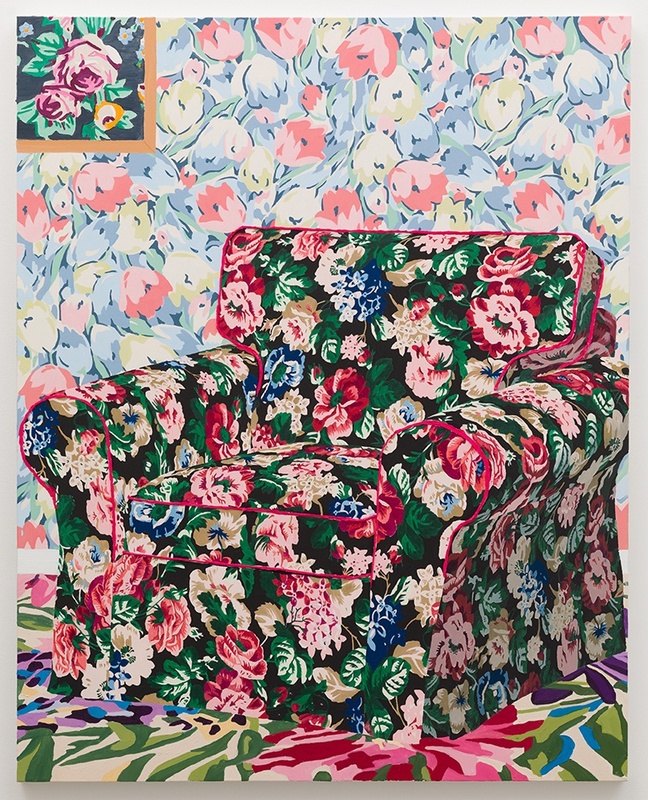 Anat Ebgi’s booth was devoted to the splashily patterned works of Los Angeles artist Alec Egan in which chairs, wallpaper, pillows, and lampshades all seemed to be competing for space in the paintings of domestic spaces until they meld almost into abstraction. And all of the works start in a real space; the wallpaper patterns, for example, come from his grandparents’ home. Yet there’s a timeless quality that transcends their specificity. For its first outing at the fair, New York gallery Denny Dimin devoted its booth to the colorful, woven wall works of Amanda Valdez, a New York–based artist who had recently completed a residency in Corsicana, Texas. There were also a series of vases that she did in collaboration with Future Retrieval, one of which was sold during the first day. 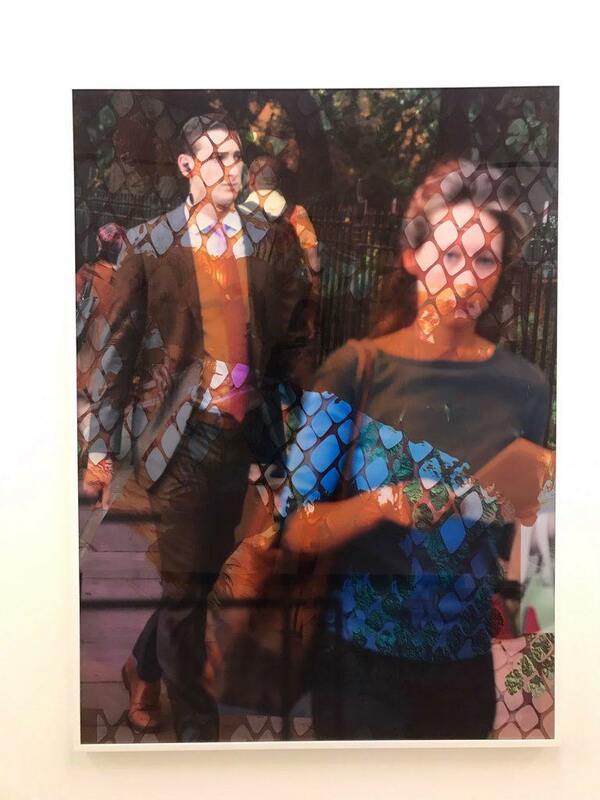 New York’s Rachel Uffner Gallery displayed the works of a variety of gallery artists, including the bold sculptural work of Bianca Beck, small graphic paintings by Leonhard Hurzlmeier, and one painting by Arcmanoro Niles. 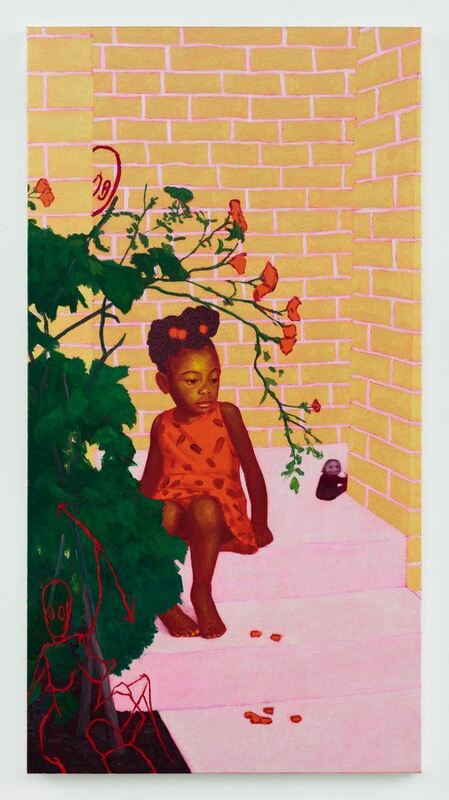 Niles, who was a Joan Mitchel Foundation grant recipient in 2017, had the distinction of having just been selected for acquisition this year by the Dallas Art Fair Foundation Acquisition Program. And the delicate work commanded attention, even in Uffner’s bold booth. Sadie Coles, which had its first outing at the fair, was showing a broad swath of works representing the gallery program, including new pieces by Jordan Wolfson, sculpture by Sarah Lucas, and a work on the exterior wall by Michele Abeles, an American artist who’s known for her exploration of the human form through photography. 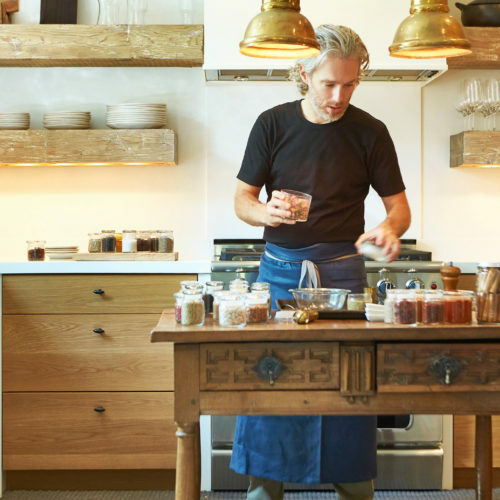 Abeles, who graduated from the Yale MFA program in photography in 2007, was also a featured artist in the Karpidas Collection, an ambitious private art space in the Design District that opened its doors to visitors during the fair. For London gallery Blain|Southern’s first outing at the fair, it brought a good sampling of the Young British Artists, who are its strong suit, including a series of works by Jake and Dinos Chapman riffing on modern art’s appropriation of African sculpture, a neon by Tim Noble and Sue Webster, and a series of works by Francesco Clemente, who has a show opening at the Dallas Contemporary on April 12. 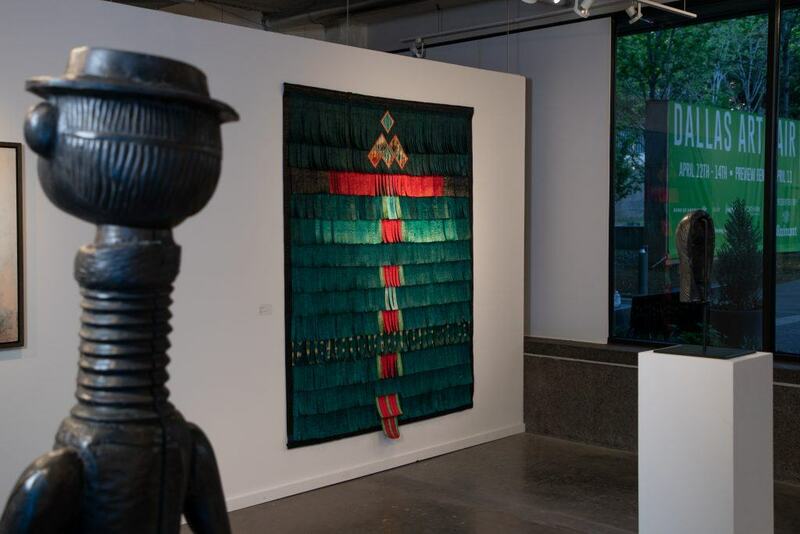 A textile work by Mali-born artist Abdoulaye Konaté caught our eye. 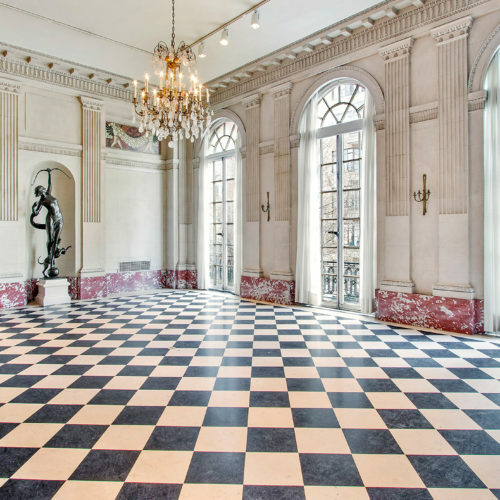 The gallery will launch its New York outpost next month with a show of Konaté’s work, which will be the artist’s first solo exhibition in the United States.